Whether you sprint to the finish or limp to the end of the line, retirement is a monumental occasion and deserves to be celebrated. While those of us still punching the clock might be jealous, it feels so right to recognize a friend or colleague on this next step of their adventure- but gifts can be a challenge. Most retirees want to start this part of the journey with less stuff, not more, so the usual items seem like one more thing they’ll take to the thrift store. Flowers and plants are the perfect choice in situations like these and few have as much to their credit as kalanchoe for the perfect plant to give someone who is retiring. 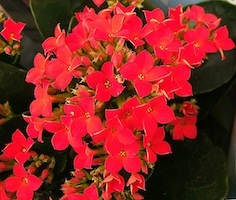 Kalanchoe are a large genus of succulent plants that are native to parts of Africa, Asia and even the Americas. Their ability to store water in their leaves and specialized process of photosynthesis, much like a cactus, allows them to survive periods of drought and intermittent watering. Almost all of the 125 different species produce bright, dainty flowers in large, showy clusters. 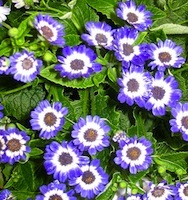 There are several that have become very popular as houseplants and can be extremely easy to care for. Choosing just the right one for your retiree will be as much fun for the giver as for the receiver and just might lead you to become a collector yourself. Is your Retiree Planning to Travel? A great way to see the world and expand one’s horizons, many folks have that special trip planned for years before retiring. 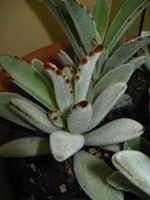 Houseplants can be a bit of a logistical nightmare if your retiree plans to be gone for months at a time, but this doesn’t worry the Panda Plant (Kalanchoe tomentosa). The Panda Plant is named so for the fuzzy, white hairs which line all surfaces of the leaves and protect it from extreme conditions. The tips of each of these have dark black or deep red coloring, which gives it the cute and cuddly look of a panda bear. 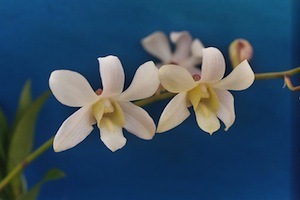 Unlike the mammal, the plant is extremely easy to care for in “captivity” as a houseplant and only needs a bright, sunny window and water at least once every month or two. Is your Retiree Planning to Move to a Smaller Place? Nothing makes a house a home like houseplants, but who wants to lug around a large planter from one house to the other? The small but mighty florist Kalanchoe (Kalanchoe blossfeldiana) is the perfect pick for a tabletop houseplant that will flower brightly and regularly- particularly in winter. 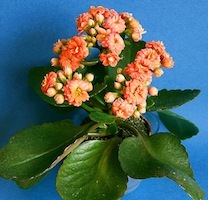 Send your retiree off right with the Kalanchoe that’s right for them.